Here are 12 specially selected favourite love poems, read by acclaimed actors Bill Wallis and Jenny Agutter. This literary bouquet of blooms includes Andrew Marvell's classic "To His Coy Mistress"; a beautiful extract from "The Song of Solomon"; Christina Rossetti's joyful "A Birthday"; and Christopher Marlowe's "The Passionate Shepherd to His Love". As well, there are Edward Fitzgerald's meditations from "The Rubaiyat of Omar Khayyam"; Edward Lear's comic verse "The Owl and The Pussycat"; Elizabeth Barrett Browning's "If Thou Must Love Me"; John Donne's "The Sunne Rising"; and lines from John Milton's "Paradise Lost". 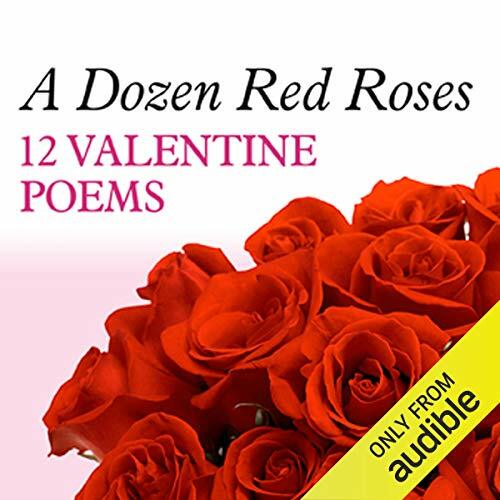 Completing the dozen are Robert Burns' "My Love is Like a Red, Red Rose"; Robert Herrick's "Delight in Disorder"; and Shakespeare's "Shall I Compare Thee to a Summer's Day?" PLEASE, Poetry, NOT music ! Eliminate the annoying musical interludes. The selection is great and the performers are wonderful. What about Bill Wallis and Jenny Agutter ’s performance did you like? Bill Wallis is absolutely my favorite narrator and Jenny Agutter does a superb job also. They know how to read poetry aloud and their diction is so smooth. I believe that these poems are available individually, and it appears that there is no music added. If so, I will purchase the individual poems.